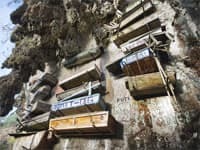 North of Manila, Sagada - a town nestled among picturesque mountain scenery, is famous for its caves and hanging coffins. 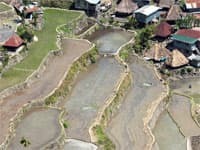 The neighbouring Banaue Rice Terraces stand as the most awe-inspiring man-made landscape in the Cordilleras. 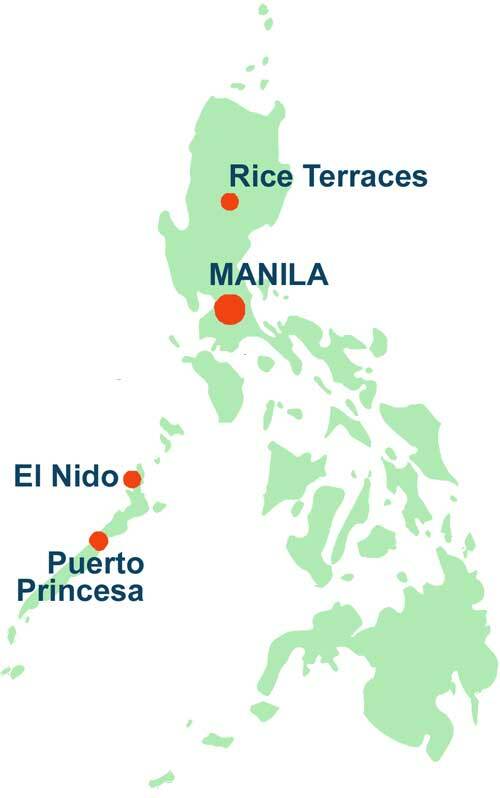 Palawan - known as the Philippines "last frontier". 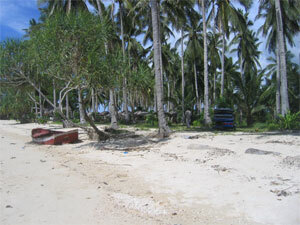 From its capital, Puerto Princesa, you can enjoy boat trips, diving and snorkeling. 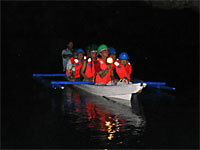 Take a tour of the St Paul's Underground River, for which this part of Palawan is particularly famous. At El Nido - one of the country's top tourist destinations, (yet still remarkably unspoilt), you'll find a stunning landscape of limestone cliffs, blue lagoons, and amazing wildlife.